I arrived in Australia two weeks ago and have spent time with friends in Brisbane and my boyfriend’s family on the Gold Coast and in Bundaberg. 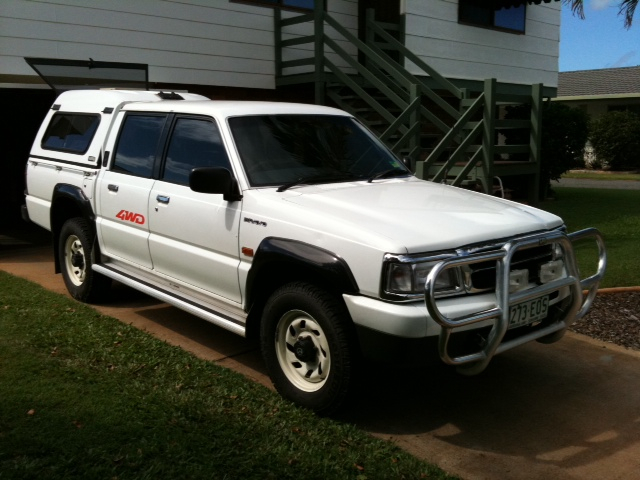 But now I have got a job and it is in Cairns, so we are off on a roadtrip. When you get out a map and look to see where Bundaberg and Cairns are you’ll probably think I misled you with the phrase ‘roadtrip’ as it implies weeks on the road, covering huge distances. Well look again and this time, check the scale. It took just over four hours to drive from Northern Brisbane to Bundaberg last week. It would be all too easy to enjoy weeks on this stretch of the Queensland coast, but we don’t have weeks; I start work on Thursday. We will set off in the Monster truck on Saturday for my boyfriend’s uncle and aunt’s farm near Gladstone. Sunday morning, we will head for Eungella, near Mackay. 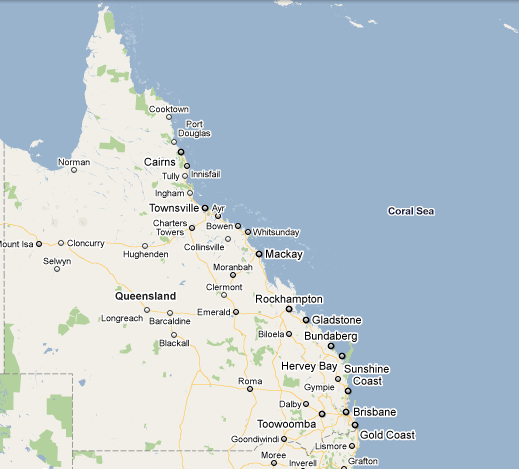 We will go through Rockhampton, the Beef capital of Australia. There is an enormous statue of a cow in the centre of a large roundabout as you approach. It will probably take us eight hours to get there. There is a platypus reserve, which is why we are going to Eungella. I am hoping to catch sight of a few. 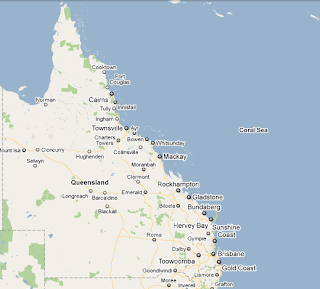 Then we will drive to Townsville to catch a ferry to Magnetic Island. This should take five hours. On Tuesday we will spend the day exploring Magnetic Island, which has a resident koala population who apparently are easy to catch on camera, so I will try. On Wednesday, we will complete our final leg up to Cairns, where we are expected at 4pm, so we will need to get going, as it is four hours from Townsville. Of course, this is what we are planning. What will actually happen each day, who knows! Next update will be from Cairns folks!